2012 And The Trends So Far. Greetings! As you can probably tell by the lack of blogging, we have had a busy start to the year! Early impressions are good. We seem to be getting a wide range of customers with a tight budget of £8-10,000 all the way up to those marvellous bespoke kitchens and construction work for a price of around £50,000. One thing I will say, however, is that gloss seems to be in. We have just finished a Futura handleless kitchen, and have had numerous enquiries of combining a white or cream gloss with one of our woodgrain gloss doors. Well, consumers aren’t just buying kitchens for themselves anymore. When the time comes to up sticks and move, having a feature kitchen can really help push that sale, and more importantly, that asking price. I was sat in the car driving back from work yesterday and I compared the purchase of a car to the purchase of a kitchen. Buying a new kitchen adds immediate value to the property, whereas buying a new car depreciates as soon as you’ve signed that form and driven it out of the garage. 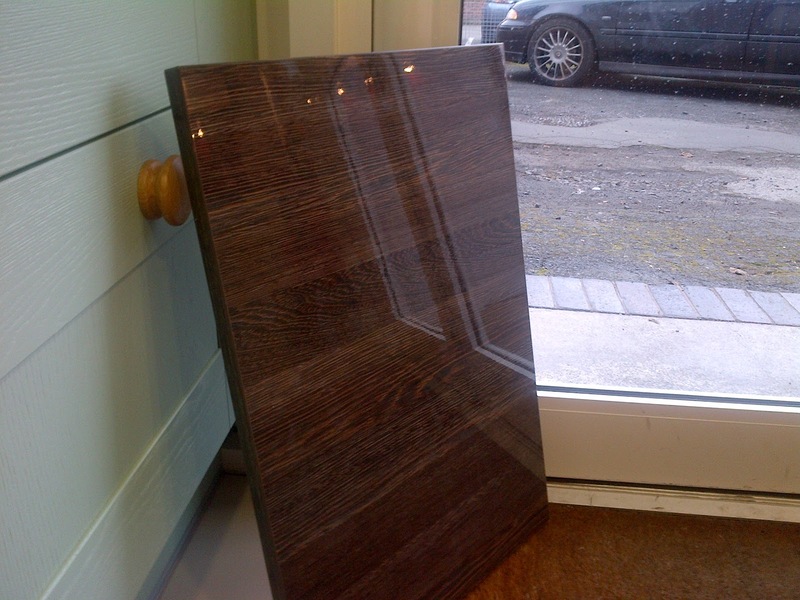 Interest for us has been pretty strong in the Mali Wenge gloss door. Being a very dark texture, you wouldn’t assume it to be a success – yet the gloss reflects the light stunningly. Check out this picture, which I just took of the sample in our showroom. See what I mean? Minimalism has become so popular within all areas of a house. This, typically, extends through to the kitchen, and particularly within these Italian-inspired kitchens we are talking about. If you follow this link to our Facebook page, you will see that the majority of the Cucina Colore range is stereotyped by this minimalist effect. You also have to say that all of the set shots are beyond stunning! I’m going to leave it there – I just fancied a little comment about these gloss units, and to share with you the trend of 2012 so far. Here’s to new kitchen ranges, new appliances and new customers. My next blog will be looking solely at the appliance giant Neff‘s products, follow us on Twitter to stay in the loop!